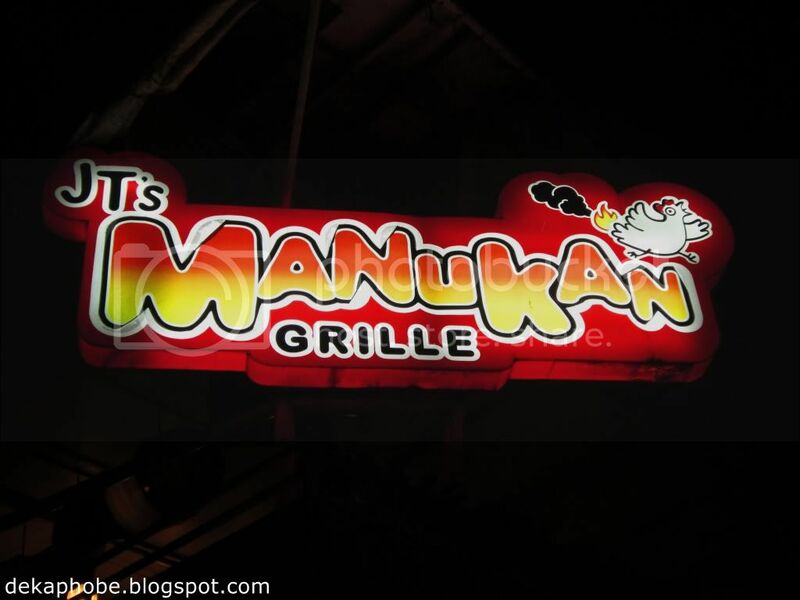 I was intrigued with JT's Manukan Grille for quite a while. 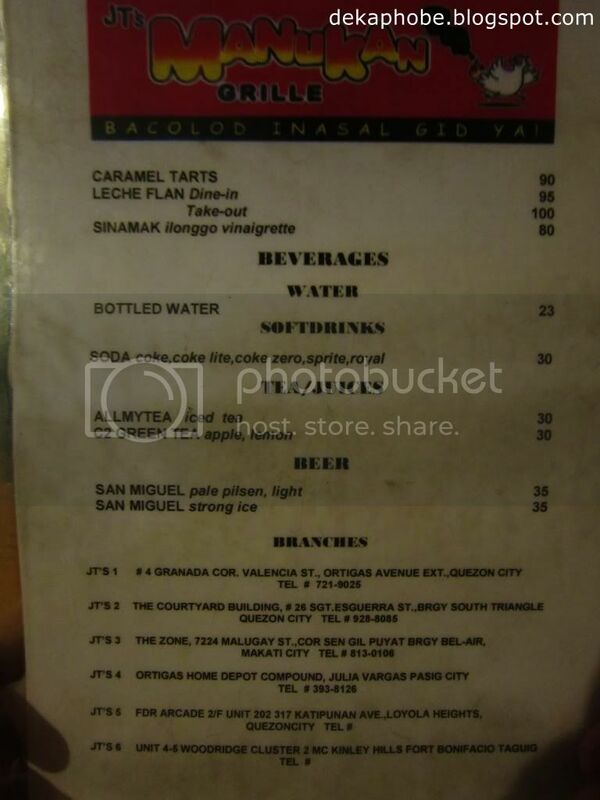 I have read so many good reviews about this resto owned by the popular actor Joel Torre. 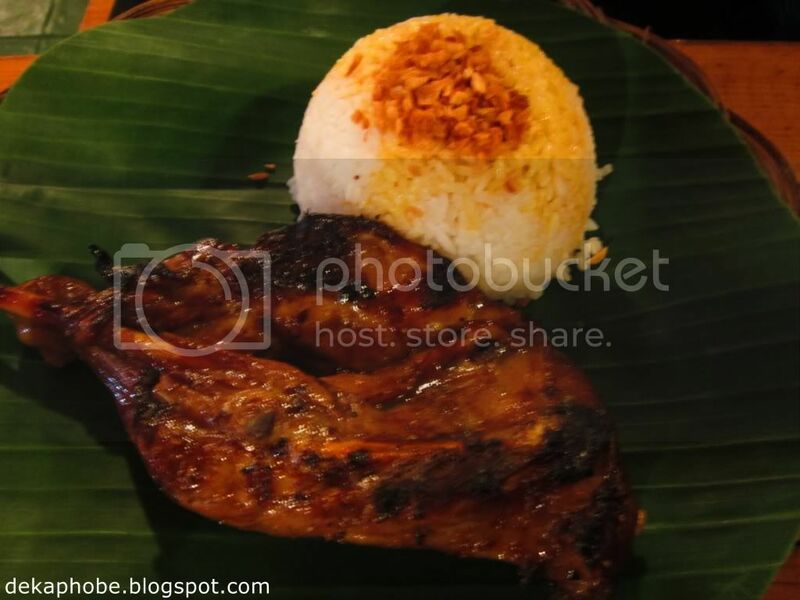 JT's Manukan uses only Ilonggo ingredients for the authentic inasal experience. The place is a simple hang-out venue with both open air and closed areas. Posters of the actor-owner's previous movie projects are displayed on the walls. 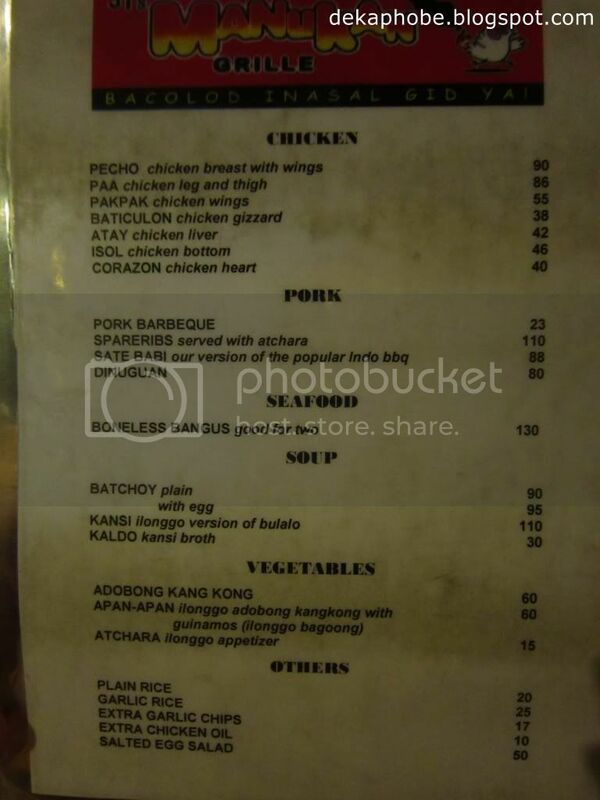 My friend and I ordered Pecho (Php 90) and Paa (Php 86) with Garlic Rice (Php 25). For those who aren't familiar with chicken parts, pecho is chicken breast while paa is chicken leg and thigh. It took a while for our orders to arrive but it was worth the wait. First thing I did was check if the chicken was thoroughly done, and surprised that it was. The chicken was so delicious that I didn't realize I already consumed everything. The chicken was flavorful even on the inside. Did I like it? No. I LOVED IT! 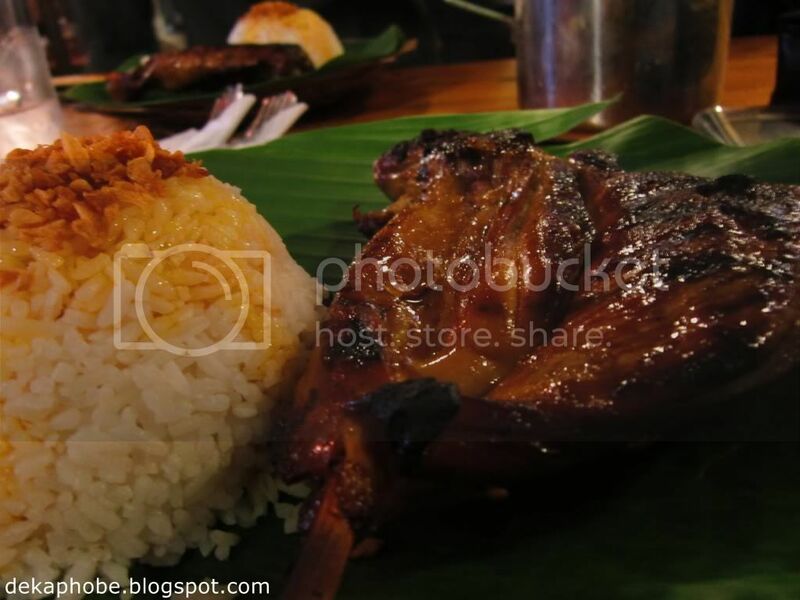 I have tried almost every chicken inasal out there, but this is the best one I've tried. I'm going to drag my other friends here soon. Congrats on the 100th post! *throwsconfetti* Btw, I think they have a branch in Eastwood. I'll definitely check them out this weekend. I'm so curious to try this since you LOVE IT! :D So I'm sure this is really really good. Ever since I tried their chicken back in their Gilmore place where it had its humble beginnings over 5 years ago... Man oh man, this was one of the best chicken inasal around! Woot woot! 100th post na ... next 1000th .... continue writing michy girl ... nakakagutom tong post mo. GAH!